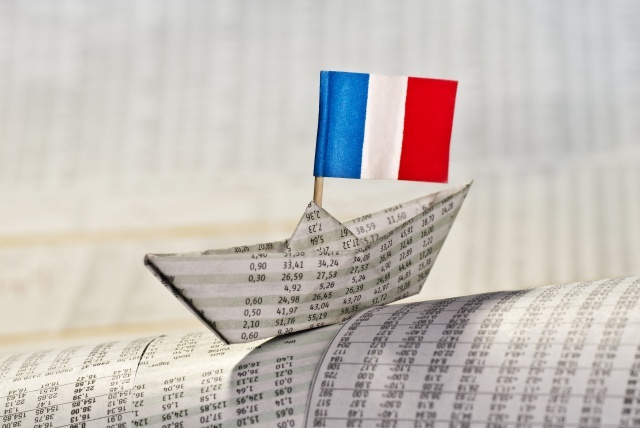 Home > Blog > French Banking, is it really so different to what you are used to in the UK? Well the answer is 'yes' ! They may not be large differences but just enough to make life complicated if you don’t know about them. These differences can be harder to detect because if you walk into a bank in France and the person you are dealing with has never lived abroad, let alone in the UK, then they will not realise that banking is done any differently elsewhere either! So you see, things can quickly become difficult and neither party may understand why. Here are a few hints and tips to help you in your first steps into banking in France. The above list is not exhaustive – you may also be asked to provide proof of income for example. Be sure which address is being used to set up your account : if they use the French address, will you be there to pick up your statements or can you use online banking? Are you able to ask that question or are you afraid that you will be misunderstood? Don’t worry about the address with regards to your means of payments (debit cards, chequebooks etc) as these are not sent out by post in France. Often this isn’t mentioned as French customers already know! You will need to go back to the branch within a certain timeframe to pick them up usually – or they will be destroyed. Once you know where and when you can have your means of payment you will need to understand how they work. As long as you have available funds on your account, you can write a cheque for any amount. There is no cheque guarantee card as there are very strong regulations in place to dissuade people issuing cheques that can’t be honoured. A bounced cheque can result in you being blacklisted by the ‘Banque de France’ for up to 5 years, this is known as being ‘interdit bancaire’ – for the account that the cheque was drawn on, but also any other account held in France at that time or opened subsequently on which your name appears. As a Francophile in France from time to time to visit your property it is understandable that your French bank account will not be your main account and you may find it hard to follow at a distance so oversights can occur. If you do receive a letter in French from your bank telling you about a bounced cheque you must act quickly and credit your account and ask for the cheque to be represented. If the beneficiary has the cheque returned to them they must keep it and represent it once your account is back in credit. Don’t pay the person cash – this will not lift the blacklisting and you will still need to wait 5 years to have the blacklisting lifted. Basically – if this happens you need to be able to talk to your bank and understand what you have to do to sort it out and what you should avoid – this is a big area where misunderstandings happen and can draw on for extended periods of time making life difficult. If you know who to talk to and how to sort it out though, it can be dealt with easily. Apart from some online banks who may not charge initially, these usually do have an annual fee attached to them – paid annually or broken down into monthly payments (sometimes including other service package options too).Banks do publish their tariffs online and they all show a set of basic fees for a fixed set of transactions so that you can easily compare the basics from bank to bank. In general an International debit card if charged at full price will be around 40€ per annum, a Gold /Premier card can vary from approx. 100€ to 150€ per annum and the biggest differences can be found on the annual fees for the equivalent of Platinum cards (World Elite Mastercard or Visa Infinite for example ) from bank to bank. Most French bank cards come with travel insurance and assistance included, the levels of cover will differ from card to card. You may also have some payment guarantees included, ask your bank and do not assume that you will have the same guarantees as in the UK just because you have a card issued by a worldwide group. You probably need to set up direct debits for utilities, insurances, internet etc…it’s relatively easy you just need a rib... What? A RIB – this is the ‘relevé d’identité bancaire’ – an unassuming document found in your chequebook, on your bank statement, online or printable at some cash machines. It’s your bank details including your address, IBAN & BIC codes. You need this to be able to set up a direct debit. Complete the form and return it signed with your RIB back to the company who will instruct your bank of the order. If you do not wish to give an open mandate to a utility company for a DD then you can ask them for their details and set up an online beneficiary and make a transfer to them yourself as and when it’s needed. Alternatively, sign a TIP : Titre Interbancaire de Paiement – this resembles a ‘giro’ type form received with a bill. The TIP enables you to keep control – for the price of a stamp. Each due bill, just sign and return the TIP form to the company – the first time you return it you will also need to send a copy of your RIB, but thereafter your bank details will figure on the paying slip. You can make card payments online for some utilities etc but this type of payment is not as widely used as in the UK, and remember once you give your card details to someone you cannot cancel a payment they take even if you do not agree with the payment. Those card details are valid for the life of the card; up to 3 years or until you cancel and replace your card. Contrary to popular belief it is not illegal to be overdrawn in France. This idea stems from people’s misunderstanding of French regulations regarding bounced cheques. Having an authorized overdraft is perfectly normal in France. They just don’t work in the same way as the UK so don’t get caught out. We advise customers to think of them more in terms of a useful buffer zone, particularly if the French account is not your main account. In general the overdraft which will be agreed will be based upon a third of your regular payments into the account, so if you transfer in 600€ per month (or equivalent) then an overdraft of around 200€ would be agreed. You must also understand how long you are allowed to remain in an overdrawn position: usually 30 days then your account must come back into credit for at least 24 hours before becoming overdrawn again. It’s worth noting at this stage that some French banks are regionalised, such as Credit Agricole or Credit Mutuel. Each region will publish it’s own annual fees, so CA Normandie will not have the same fees as CA Charente-Perigord for example. That’s just some of the basic differences you may come across when starting to bank in France, but there are many more! Be sure that you can communicate with your bank and your adviser easily from wherever you may be, that you understand what is being said and that your bank understands you. Don’t be afraid to ask questions even if you think you know the answer: you may be surprised! Follow Britline on Facebook @cabritline and Messenger.